Delays in transactions costs exporters and importers a lot, especially fresh perishable commodities such as fruits and vegetables which can lose their freshness and consequently be sold at lower prices, or get deteriorated causing a total loss to the businessperson in question. The warning was given by Mohammad Saeed, Senior Trade Facilitation Adviser at International Trade Centre (ITC), who observed that each day saved in shipping time is worth 1% of product value. 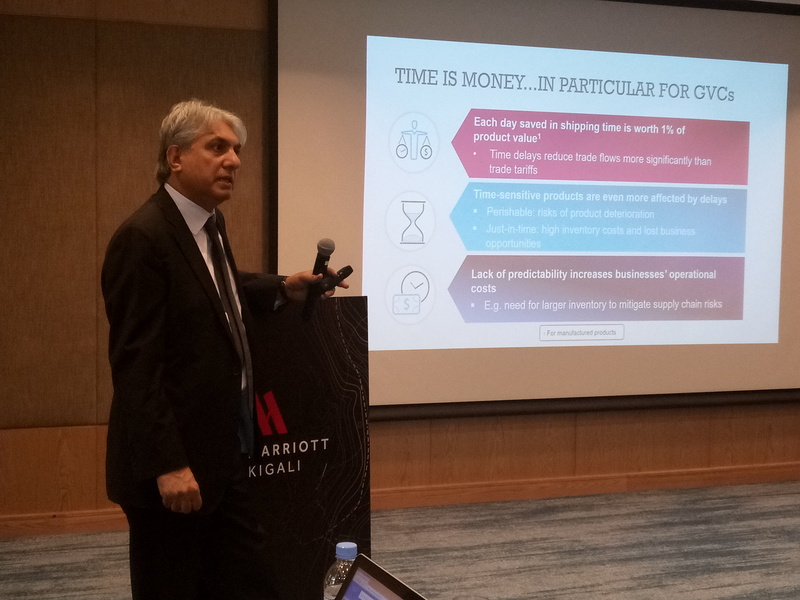 Saeed was speaking during a two-day training workshop on World Trade Organisation (WTO) Trade Facilitation Agreement from November 2 to 3, 2017, in Kigali. 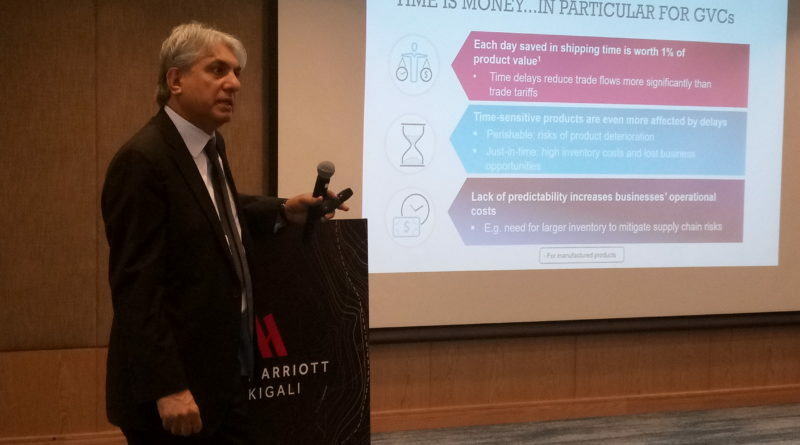 The expert noted that Rwanda could save about 16% through implementation of trade facilitation agreement, which ensures conducting your import and export business in an efficient manner. Trade facilitation is a concept consisting of reducing the time and cost of business people’s goods crossing the border, through procedural efficiencies in various countries. It’s more about import, export and transit (of goods). 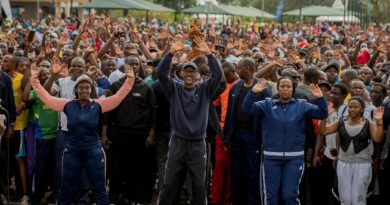 “Your economy benefits, your people benefit by relatively cheaper products without doing anything in the product, but only reducing the time of it coming to your premises or the vehicles,” he added. Under the agreement, member governments must promptly publish (through online trade portal) certain specified categories of trade information in an easily accessible and non-discriminatory manner, including importation, exportation, and transit procedures, restrictions and prohibitions; required forms and documents; applied duty and tax rates; import and export fees and charges (including the reason(s) for the fees and charges, the responsible authority, and when and how payment shall be made). Also, penalties for violations of import, export or transit formalities; as well as appeal procedures should be availed. 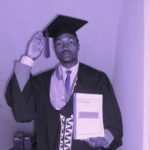 Emile Nsanzabaganwa, Chief Executive Officer of Kinazi Cassava Plant said that the factory’s flour is being sold on five continents including 40 states out of 50 in the United States. It has a contract with customers to export about 50 tonnes in USA, 50 tonnes in Canada, about that quantity in Europe and Australia as well as 15 countries in Africa, pee month. “There are countries you reach and if they have not [trade] agreement with your country, the tax is higher among other hindrances,” he said. “Such [International Trade facilitation] agreements give equal opportunities to all the businesspeople such that they can do business and benefit accordingly,” he said. 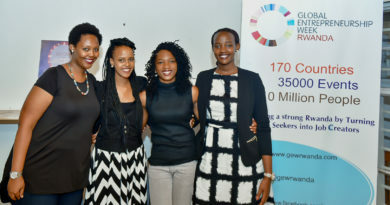 Rwanda Freight Forwarders Association Secretary General, Theogene Rukundo said that a container [of goods from Rwanda] to South Africa would cost an exporter $5,000 (about Rwf4.2 million) in transport fare on average, but noted that additional charges might be involved in case of lack of good collaboration. 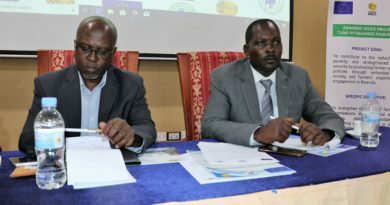 “If there is no agreements looking at all those issues, that’s when you realize that that cost of transport might go from $,000 up to $6,000 because of lack of cooperation between concerned institutions in trade facilitation,” he said. 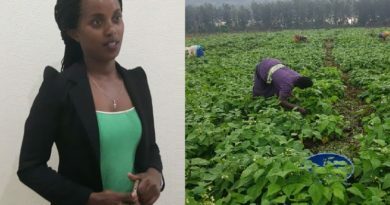 The Director of External Trade Department at the Ministry of Trade and Industry (MINICOM), Alice Twizeye, said that the agreement enables the businessperson’s product to have competitiveness with others at international market. “The agreement intends to reduce unnecessary trade procedures so that it helps speed up transactions in terms of time and charges,” she said. Mohammad Saeed said that every importer and exporter, depending on which document they have to fill, which agencies they have to go, including agencies overseas, how much they have to take; there is a cost to it; the cost of the individual, the cost of the time, the cost of filling the [trade] documents. “If you have a single window; which means that you go and submit the documents only once, instead of going first to the customs, then to the agriculture, then to the standards and everybody; all are government agencies. So, if importers can submit only once, then, the computer will send it to everybody, so the cost of the importers is reduced, the cost of government is reduced,” he said. Geoffrey Kamanzi, Director of Trade and Business Department at Private Sector Federation (PSF), said that electronic single window system which the Government of Rwanda introduced facilitates doing business through rapid and efficient information provision and access, without necessitating to go to customs. About 125 countries are signatories to the agreement. In terms of impact on international trade, Trade Facilitation Agreement expects to achieve 50% reduction in trade delays; 15% reduction in trade costs, $1 trillion increase in merchandise exports per annum. For impact on business environment, the agreement seeks targets to attract $500 billion GDP growth, attracting more foreign investment, greater participation of SMEs in trade, reduction in trade-related corruption, and better collection of government revenues.